Set sail from Sydney on your 12-night Australia And New Zealand Cruise onboard Celebrity Cruises' Celebrity Solstice. 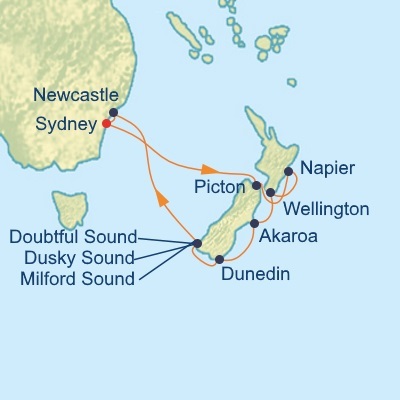 You will visit: Picton, Napier, Wellington, Akaroa, Dunedin, Doubtful Sound, Dusky Sound, Milford Sound and Newcastle. 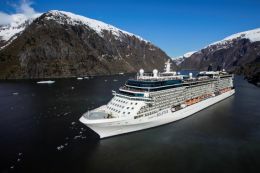 Having first set sail in March 2008, the Celebrity Solstice is relatively young by global cruise standards. 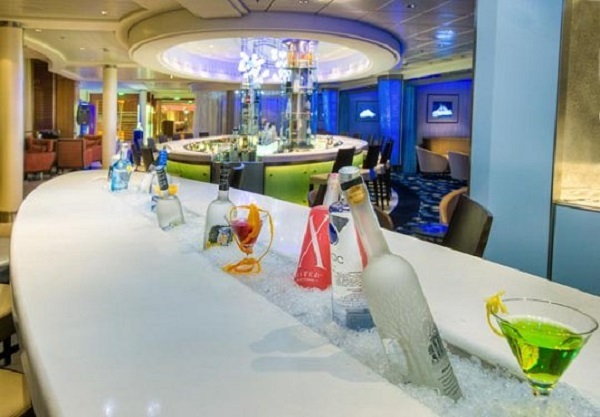 This makes her a real trend-setter; the cruise ship was the first to launch features such as a ‘Hot Glass Show’ (live glassblowing demonstrations) and an on board Lawn Club. 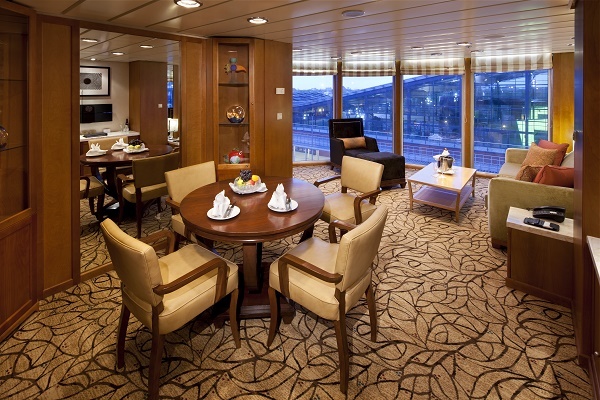 Trend-setter she may be, but you will still find all of your favourite cruise classics on board. 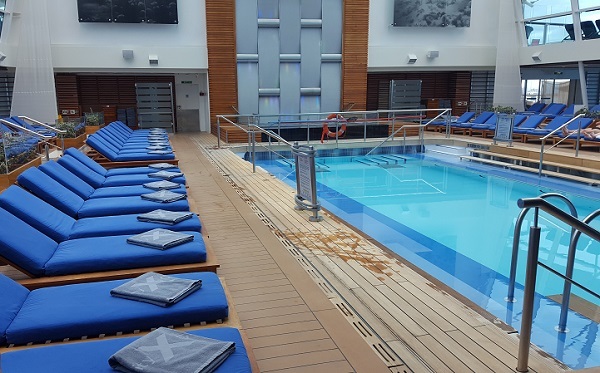 From pools and day spas to fine dining and first-class entertainment, the Celebrity Solstice offers it all – and a little bit more. 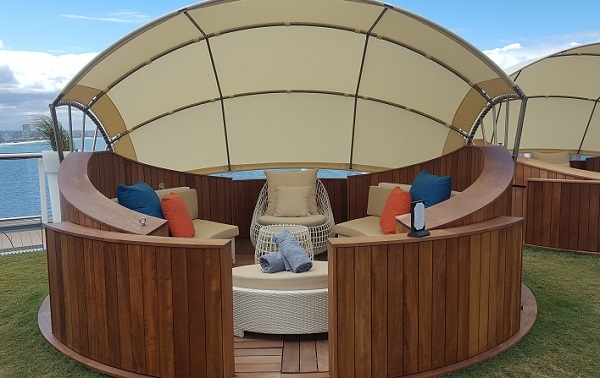 Taking inspiration from the sun, the Celebrity Solstice manages to feel like summer all year round, especially at the Lawn Club. 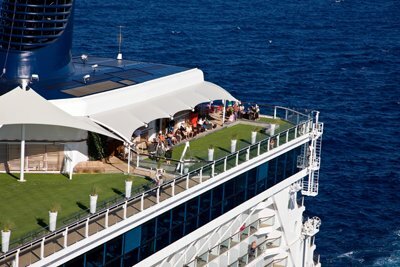 Here you will find a half-acre of living grass, the perfect place to relax on a warm sunny day. 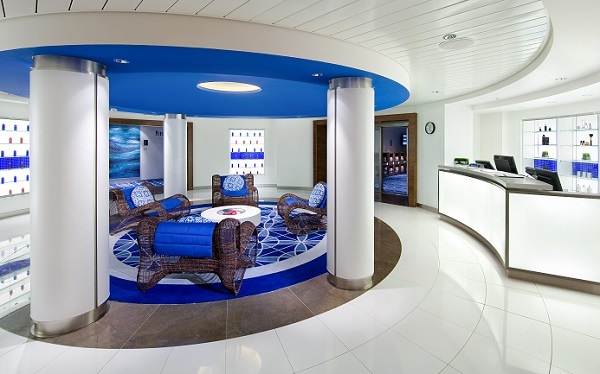 The sun theme continues throughout the ship. 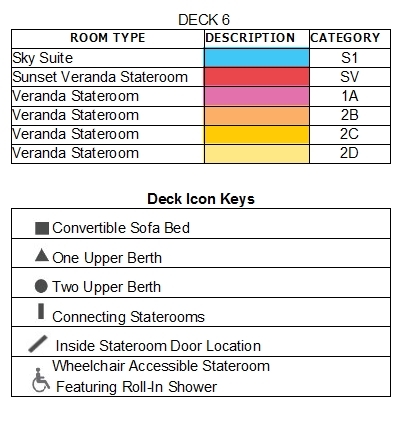 Keep an eye out for sun symbols as you explore its many rooms and decks – even the Casino has its own homage to our favourite star. 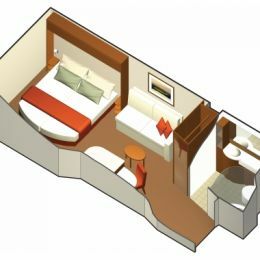 Meanwhile the cabins complement this theme perfectly, with warm browns, tans, reds and golds creating stylish, welcoming interiors. 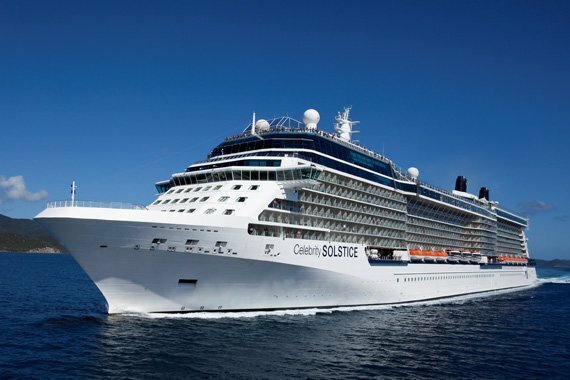 The largest Celebrity cruise ship, the Solstice weighs 122000 tonnes and is 1041 feet in length. 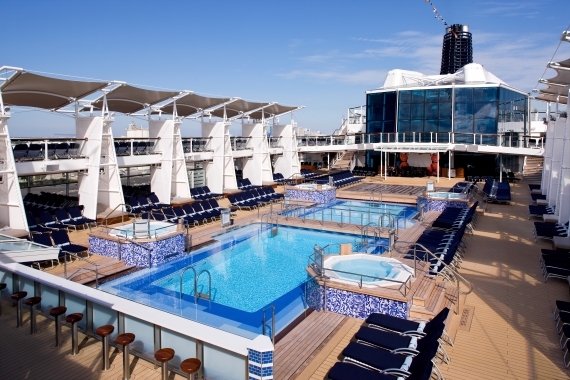 She has a maximum occupancy of 2850 passengers and her cruise speed is 24 knots. 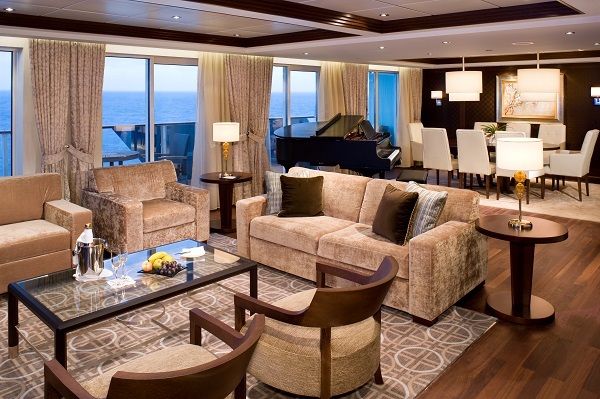 The expression ‘spoilt for choice’ takes on a whole new light on board this vessel. 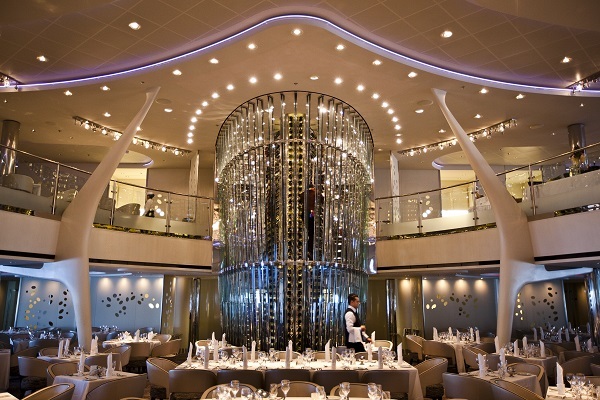 There are 10 eateries to choose from, of which seven are open for dinner, six for breakfast and five for lunch. 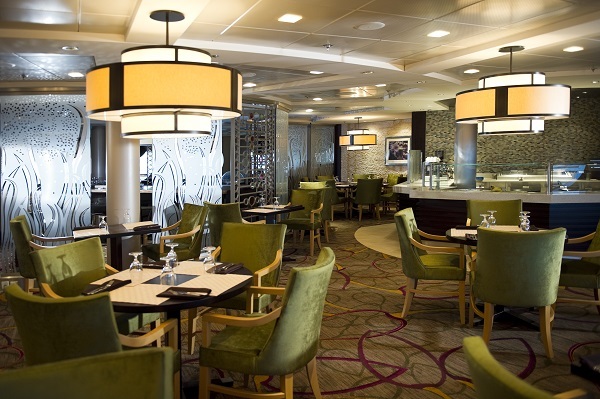 A range of international cuisines are served throughout the ship, from Italian classics to Asian fusion. 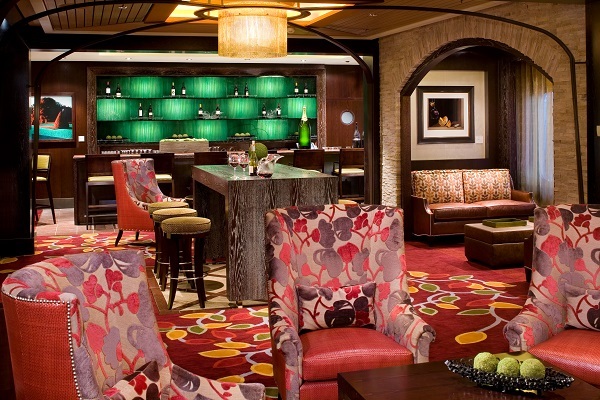 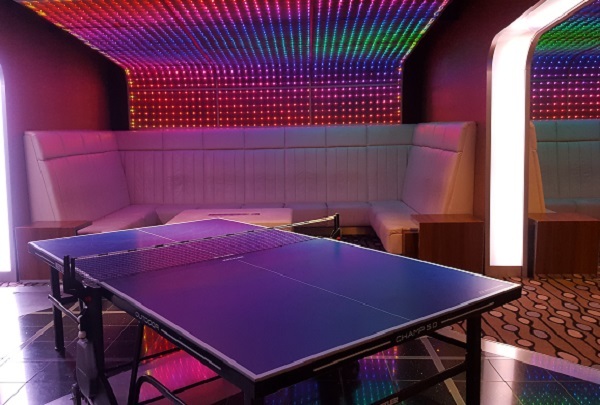 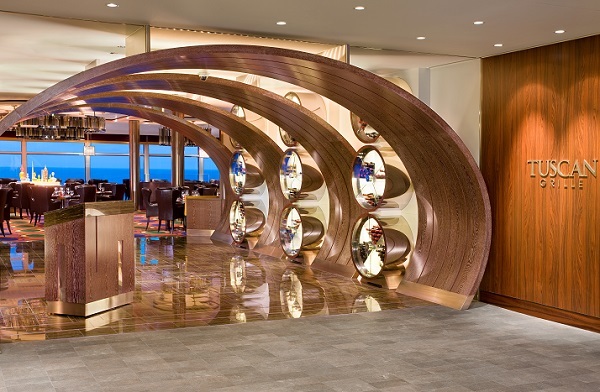 After dinner, you’ll want to grab your dancing shoes and head to one of the Celebrity Solstice’s many bars and lounges. 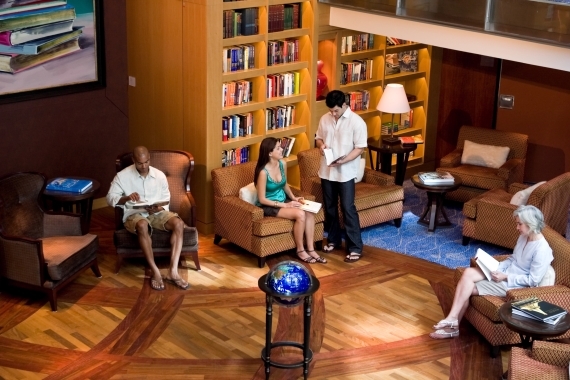 The Sky Observation Lounge is the place to go if you’re in the mood for some live entertainment, while the Cellar Masters Wine Bar is perfect for those who enjoy discovering new flavours. 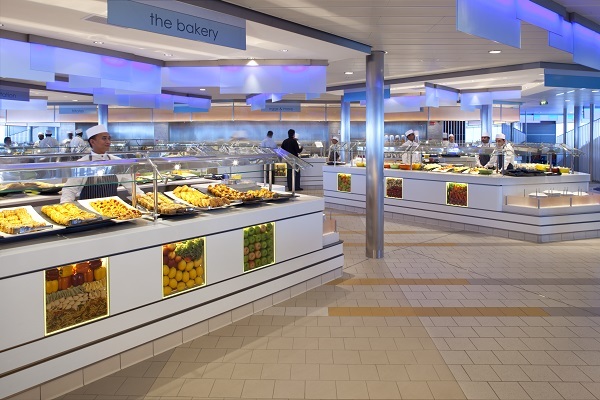 Celebrity Life, the cruise line’s enrichment programme, offers activities galore during the day, such as culinary classes and wellness lectures. 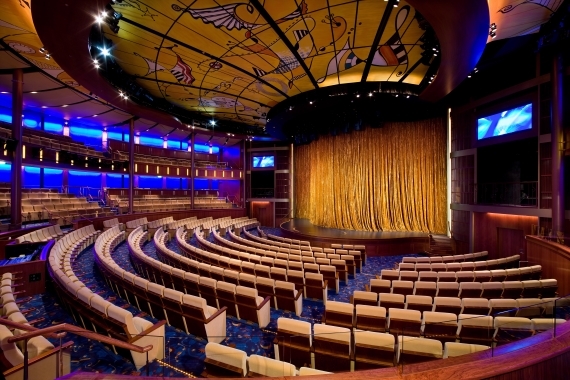 By night, the Solstice Theatre and Sky Observation Lounge both offer excellent live entertainment. 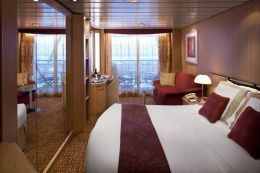 There is also a Casino on board, as well as several public rooms, including a card room, a library and an internet café. The Celebrity Solstice has a busy schedule, splitting her time between destinations such as Alaska, Tahiti, New Zealand, Australia, Hawaii, Bali and Singapore. 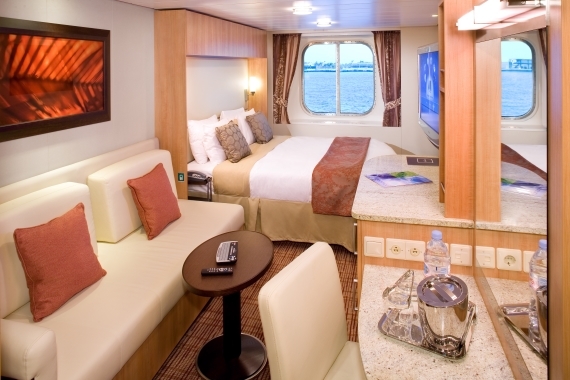 The shore excursions available will therefore depend on your cruise route. 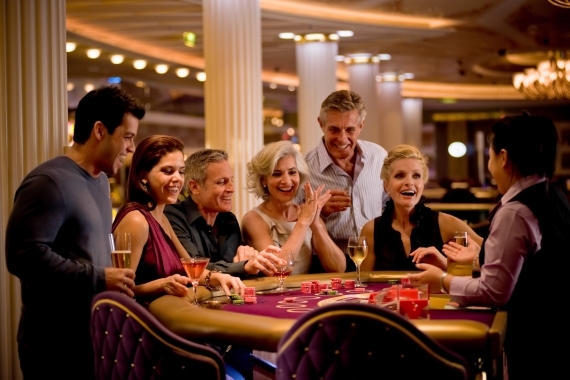 Some examples include scuba diving in the Bahamas, a historical walking tour in Denmark and wine tasting in Oregon. 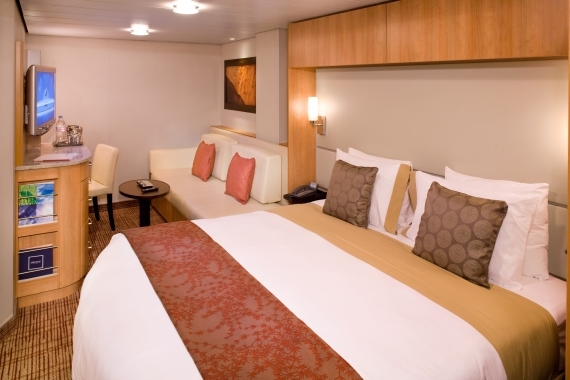 The cabins on board Celebrity Solstice cater for every budget and preference. 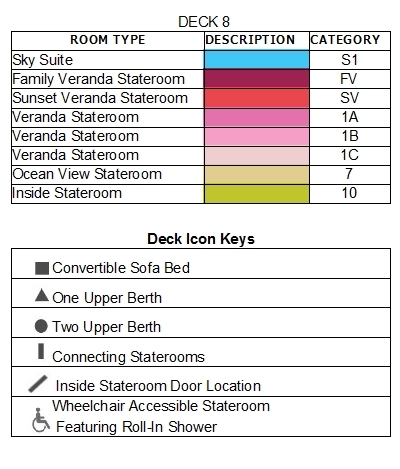 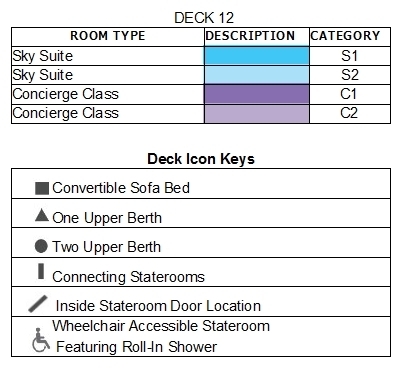 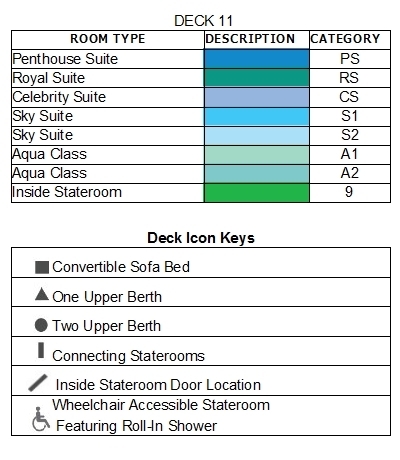 At the luxury end, guests can choose from a Penthouse Suite, Royal Suite, Celebrity Suite or Sky Suite. 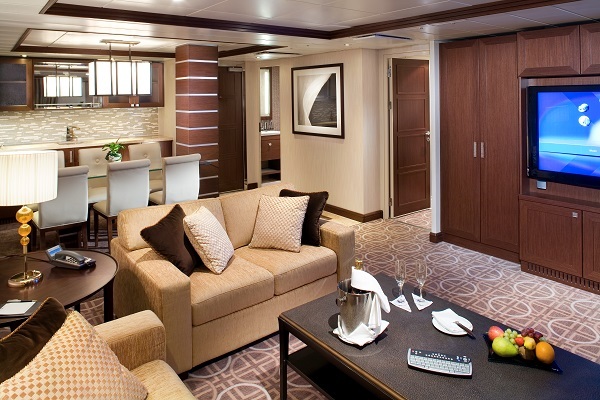 All the Celebrity Solstice suites feature a European-style Butler service. 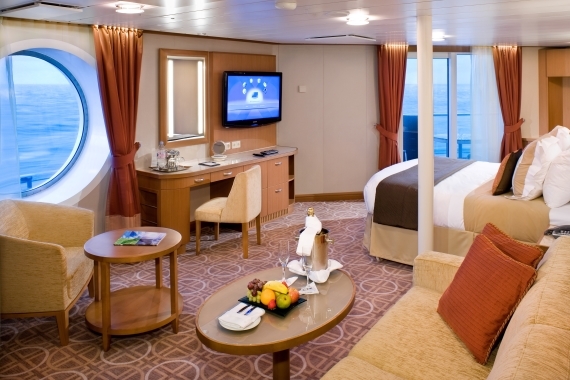 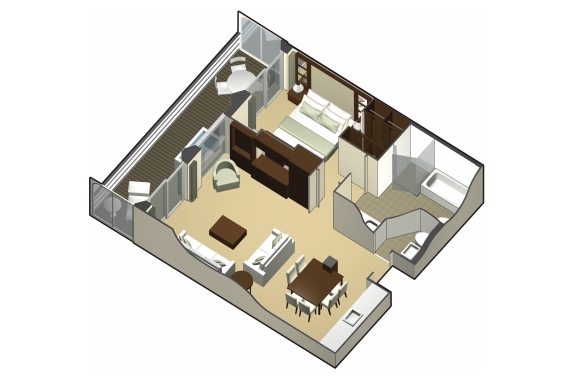 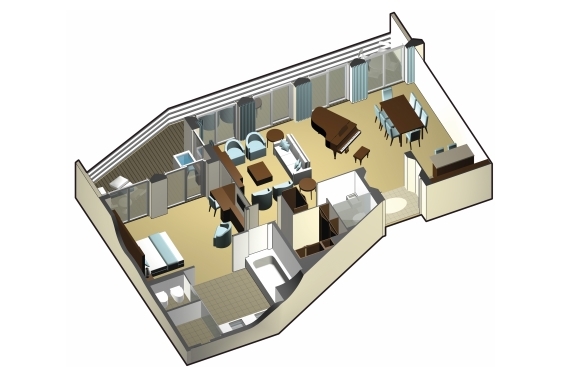 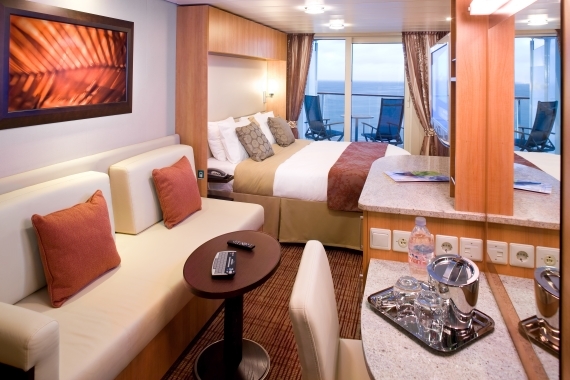 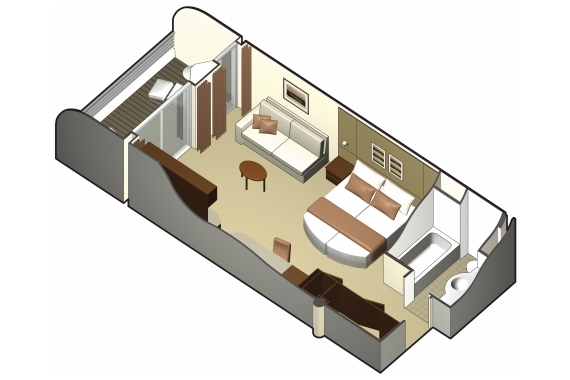 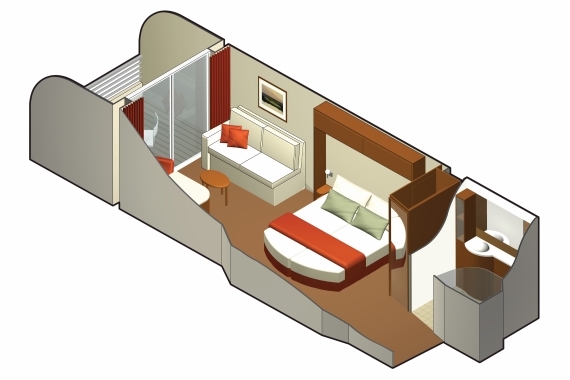 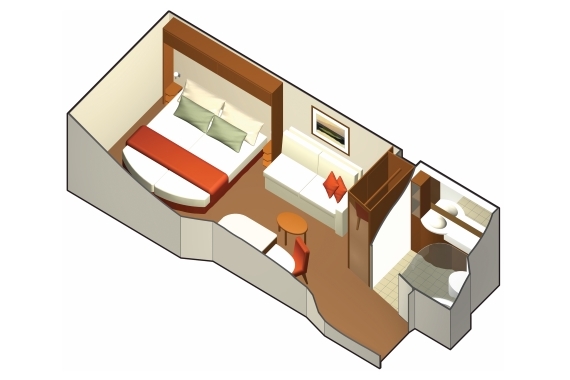 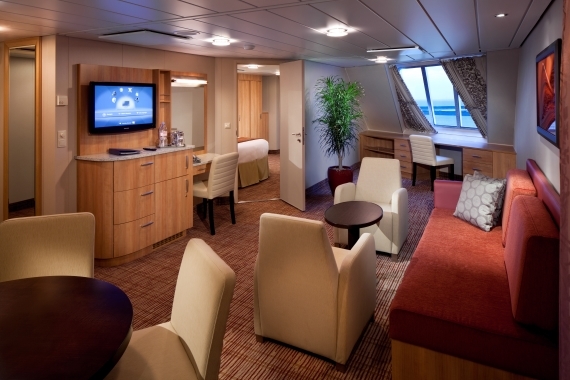 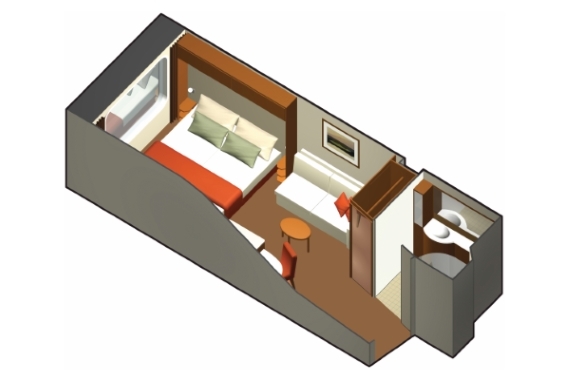 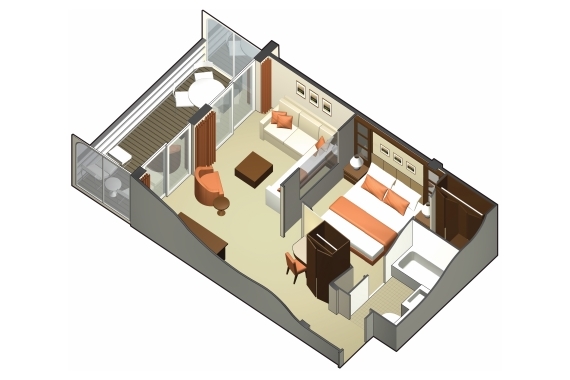 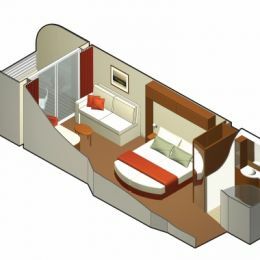 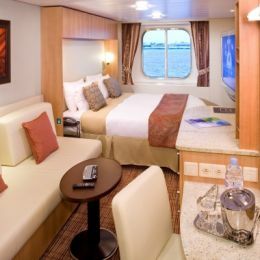 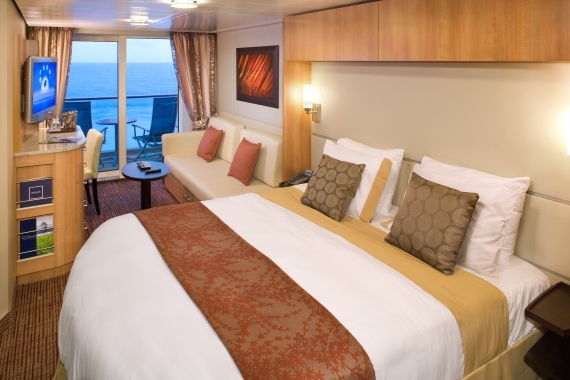 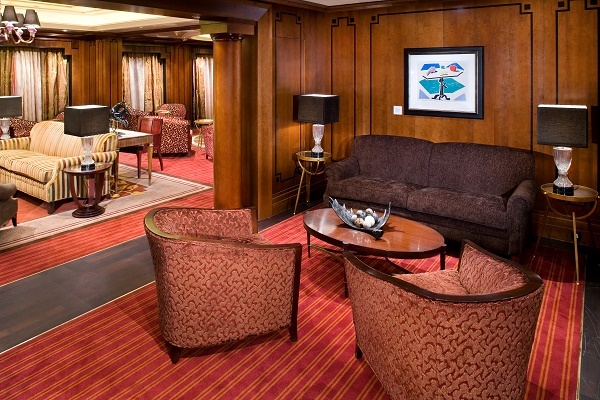 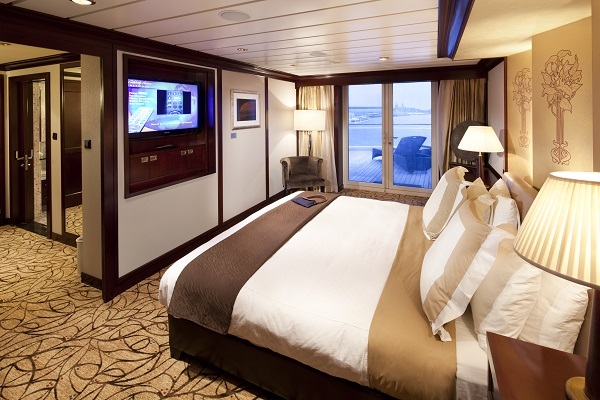 One step down from the suites are the Aqua, Concierge and Veranda Class staterooms. 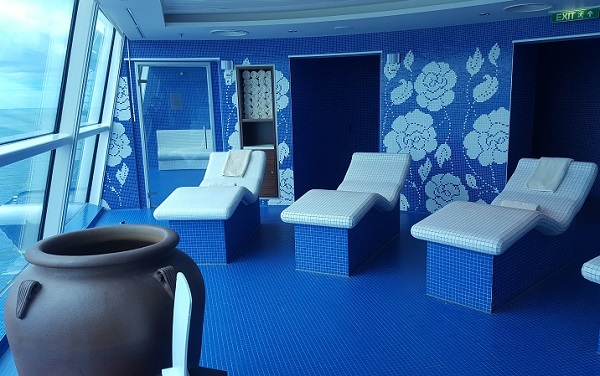 The AquaClass comes with exclusive access to amenities such as Blu Restaurant and the Persian Garden spa, while the Concierge and Veranda rooms include plenty of extra touches to make your stay that much more comfortable. 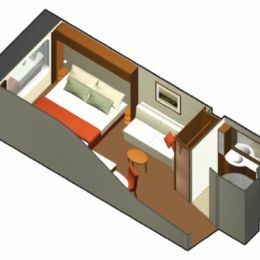 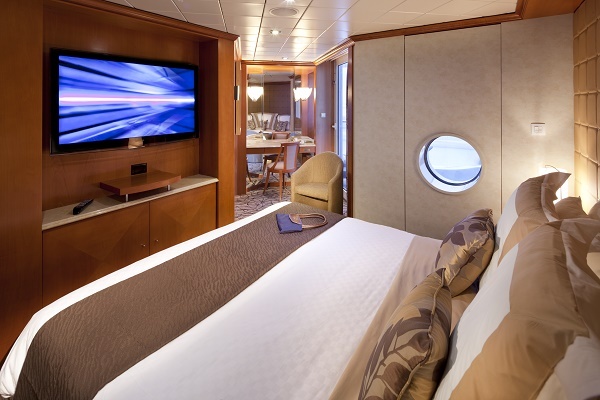 For the budget-conscious cruiser, the Celebrity Solstice interior rooms and Ocean View cabins are both excellent options. 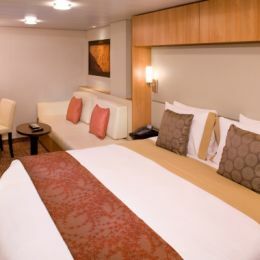 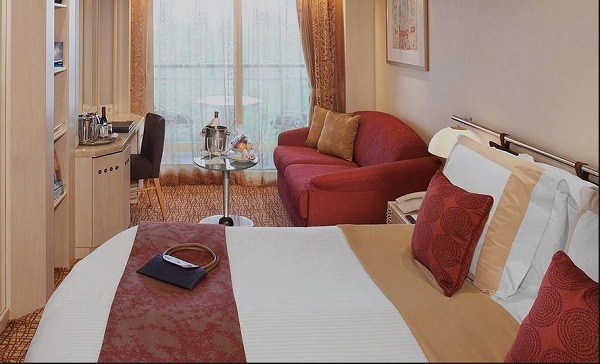 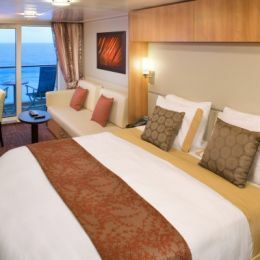 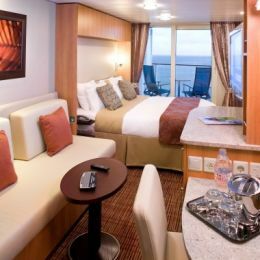 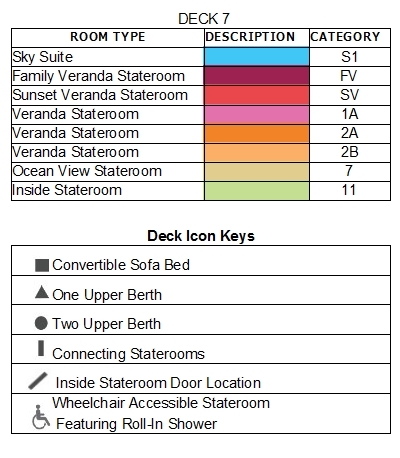 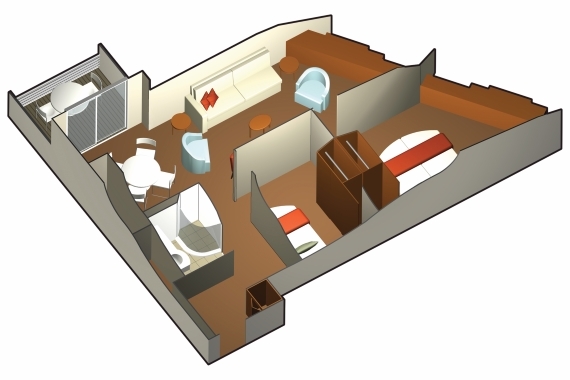 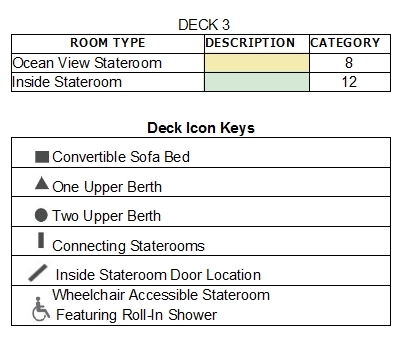 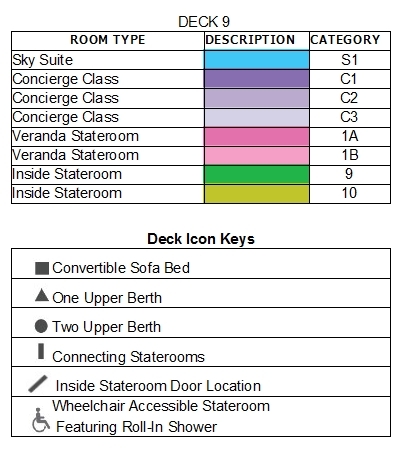 All rooms include a flat-screen television, which interfaces with a small Mac computer to allow guests to browse dining options, menus and find other cruise information. 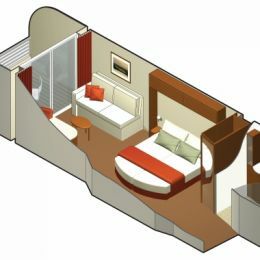 They are also all well-equipped with basic amenities such as shampoo and conditioner, and include ample storage space. >For an additional charge select Go Better option and receive a choice of two amenities or the Go Best option and receive all four amenities plus an upgrade to the Premium Drinks package. 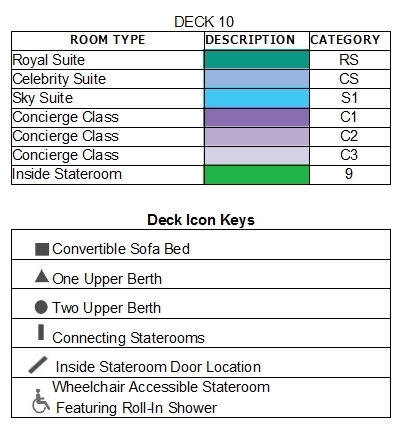 Charge varies by selected tier and cruise nights. 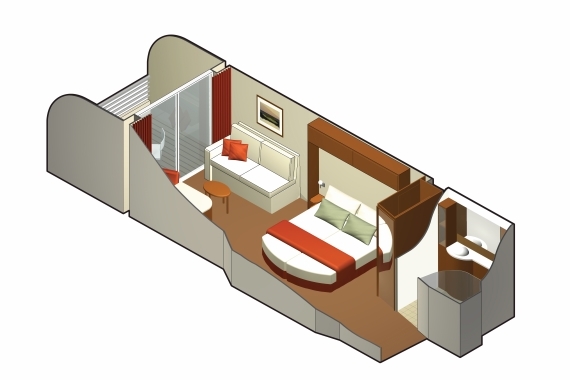 Go Better is charged at an additional AUD/NZD$20 per person per day and Go Best is an additional AUD$60 per person per day.